The story, which was published on The Information, claims that content creators have been asked “to be ready for launch by mid-April”. These content creators potentially include the Oprah Winfrey Network and others who have signed deals to create shows and movies for the Cupertino-based company. Apple has yet to confirm this timeline to reporters but that could change during today’s Q1 2019 earnings call that’s slated to happen on January 29 at 5:00pm EST / 10:00pm GMT. Should the report from The Information turn out to be accurate, and similar reports on Disney’s new streaming service Disney+ also hold true, Apple’s new streaming service will be out months before Disney’s - which is due out toward the end of the year – giving the company an early lead in the race to create the next Netflix. 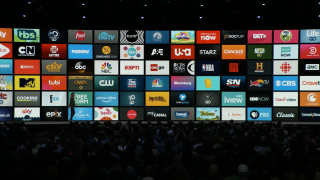 While we don't have any insider information about Apple's new streaming service to offer, we feel there's a very good chance Apple is looking at this year to launch its streaming service - if, for no other reason, than to see an ROI on the deals it's been making with content creators over the last few years. Unfortunately, it could be a crowded year for new streaming services. Not only has Disney's Bob Iger said that 2019 will be the year that the company will launch Disney+, but in the US you can also expect something new from AT&T and HBO, too. Add to that a lower Hulu subscription price, a billion-dollar Lord of the Rings project by Amazon and an ever-more-dominant Netflix – all the ingredients for an uphill battle for Apple. Disney Plus: when is Disney's streaming service going live?